Submissions will be subject to blind peer review and must meet the usual standards of quality for international Publications. Deadline for the receipt of submissions: 30/11/2019. The manuscripts may be submitted in Spanish, English and Portuguese. They shall be preceded by a title, an abstract (at most 200 words) and keywords (3 to 5), both in English and in the language of the paper. In case the paper is written in English, we will prepare a Spanish translation of the title, extract and keywords in case the author cannot provide it. The manuscript shall include a section at the end providing a bibliography according to the Chicago style, in the format author-date. The extension will depend on the type of contribution (article, note, critical study, discussion, review, and the likes). 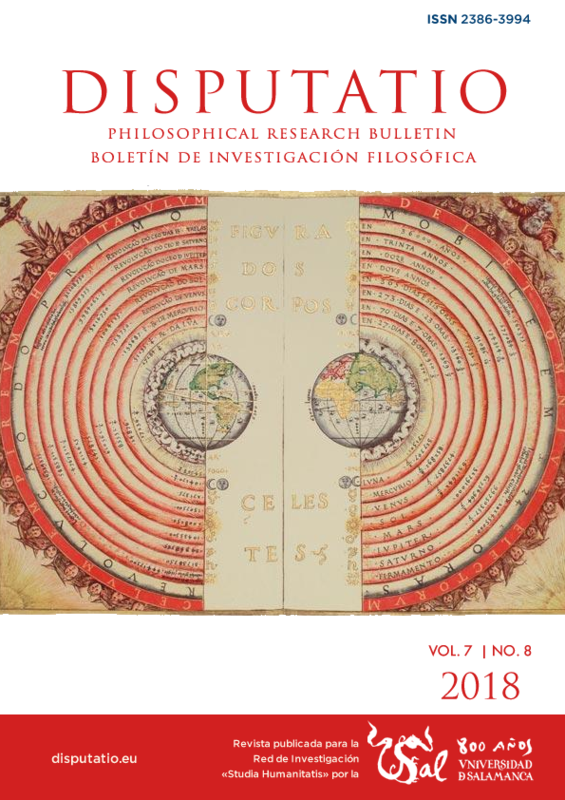 Please check out articles published in English in some of our issues available Online for more information about style and format or contact us at boletin@disputatio.eu. Instructions for authors are available in Spanish https://disputatio.eu/info/info-autor/ and will be available also in English shortly.